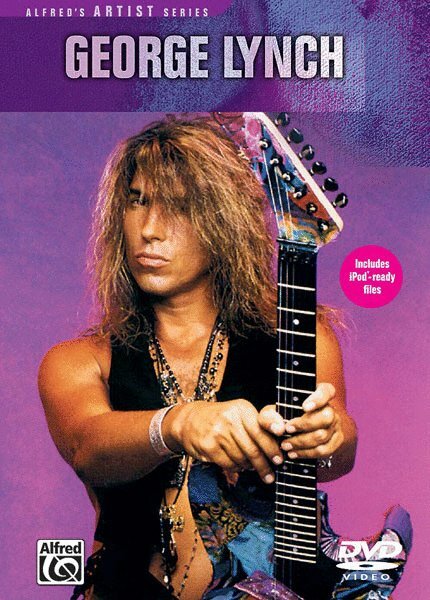 George Lynch stormed onto the 1980s shred guitar scene with his band, Dokken. Along with contemporaries like Edward Van Halen and Randy Rhoads, George set the standard for virtuoso guitar playing. After Dokken, George went on to front his own band, Lynch Mob, and also recorded as a solo artist. This DVD provides true insight into George Lynch's playing and highlights the many facets of his unique guitar style. George demonstrates vibrato techniques, tapping, string skipping, whammy bar effects, and many of his favorite licks; he also teaches excerpts from some of his famous recorded solos. The DVD features candid moments of George in a Los Angeles recording studio creating solo overdubs for the Lynch Mob debut album, Wicked Sensation, and footage of George playing his great solo from "Street Fightin' Man." The accompanying PDF booklet features note-for-note transcriptions in standard music notation and TAB.